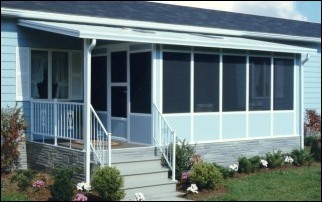 The Deluxe Screen Room is ideal for the homeowner who desires the privacy given with the higher base panel. 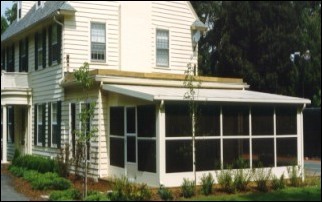 This screen room is built to be tough with fiberglasss screen and is virtually maintenance free. Aluminum Railing offers attractive protection for open deck and steps. The Full Screen Room has a maximum open screened area with a minimum size solid panel at the base. These factory assembled panels have painted aluminum frames in white, cream, or walnut. Your quote request has been made. One of our customer service representatives will contact you with a price. We'll text you monthly exclusive updates about sales, coupons, and the latest news.